Rami Ismail, from Vlambeer, has created a free game client with a different 5-10 minute indie game each day in 2019. I've played a number of them so far this year, and while several have been quiet obtuse, difficult to understand, or even unplayable, I wanted to share because I love the idea of this project. I also loved the Feb 5 game, by Federico Fasce. 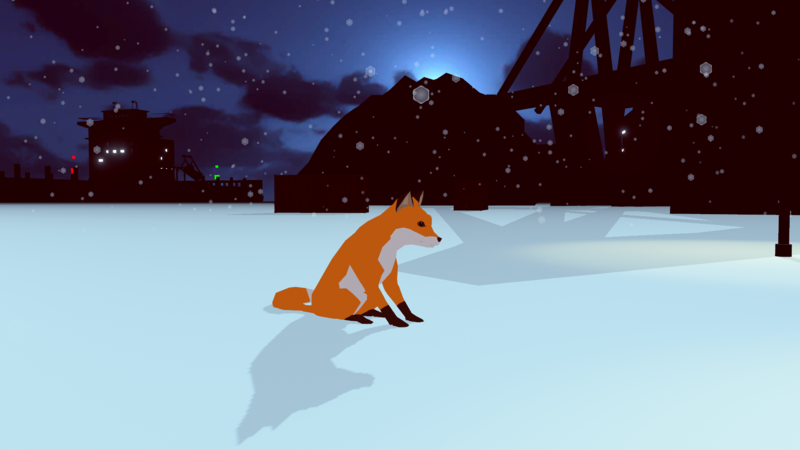 It's a 3-minute, one-button game about a fox walking through a winter storm and pausing periodically to watch and listen to what's happening in the world around. It's brief and beautiful, a perfect, peaceful excursion. If you're interested, you can download the client at meditations.games. But if you want to play the fox game, it's only available Feb 5.